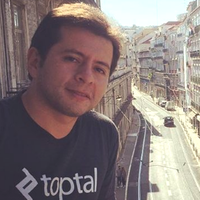 Code For Brazil, Code For Curitiba, Toptal and Jupter invite you to a series of workshops celebrating the birthday of Code For Curitiba on the 12th of October at 2pm. Following the #ToptalSBR16 tour, we are proud to sponsor all the tech groups in Curitiba to join together and create a great event on this special date. During the first part of the event, we’ll have four workshops on high-impact technologies including machine learning, big data, and Semantics (the typescript language for REST API and NFC technology). In the second part, we’ll present the latest news of Code For Curitiba and invite the assistants to co-create a collaborative space. Then we’ll finish with a happy birthday party!